Coming soon to a strip mall near you, Shop & Glow, the newest addition to the burgeoning collection of outpatient medical facilities in your market. Shop & Glow offers the latest and greatest in radiation therapy designed to nuke those nasty tumors deep within your body. Plus, it offers a more comfortable environment than you will find down the street at Quik Zap. If this sounds far-fetched, think again. Sans the marketing hyperbole, this type of rampant proliferation of medical technology into the more affluent suburbs is happening on a seemingly daily basis. It’s all part of the feeding frenzy in medicine. With the nation’s healthcare bill approaching $2.8 trillion, there are plenty of providers lining up at the trough to be fed. After all, why be just a doc when you can be an entrepreneur raking in hundreds of thousands of dollars each year in technical fees? Such behavior on the part of physicians, who are eager to capture a bit more of the pie, costs us dearly. It raises the overall cost of healthcare, and arguably diminishes the quality in some settings. Numerous research studies conducted over the past two decades have shown the pervasive over-utilization of expensive medical services when physician ownership is involved. 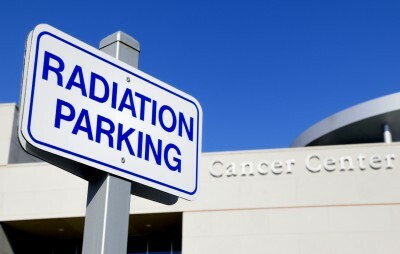 The latest such study, published in The New England Journal of Medicine, focuses on the excessive use of radiation therapy by urologists who own their own centers: “The study showed that ownership of intensity-modulated radiation therapy services increased use of the treatment to a dramatic degree compared with treatment use by urologists who do not own intensity-modulated radiation therapy services.” The motto for such facilities could easily be: Why provide only 35 fractions of radiation when Medicare will pay for 40? Few, if any, of these centers offer integrated care in which the skills and knowledge of radiation oncologists and medical oncologists, working hand-in-hand, ensure proper treatment. For some patients, such as colon cancer patients who are receiving chemo and radiation concurrently, such coordinated care can help avoid serious problems…something not found at Shop & Glow. Hopefully you will never need radiation therapy. If you, or someone you love, do need such a service, ask your referring physician if they have an ownership interest in the facility that they are recommending. Also find out if it is staffed by a complement of both medical and radiation oncologists. With the answers in hand, you will be one step closer to making an informed decision.